Knowing the truth can get a bit dry sometimes so let's lighten it up a bit with some comedy eh? 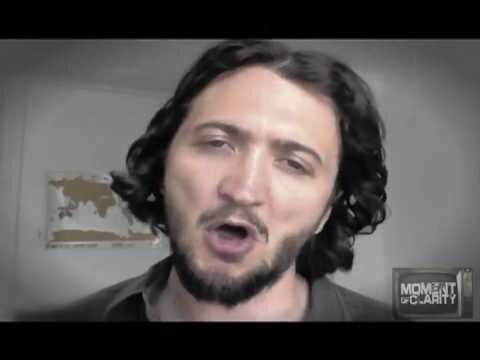 Lee Camp's Moment of Clarity show is a good way to learn a few things and get a few laughs. Lee's always got a few good points to share to help your clarity. "This is the perfect video for anyone who thinks they're behind the NSA spying program. Give it a chance. This video is for Obama LOVERS and HATERS. 1) This v…"
Type in a comment below and let me know what you think of this stuff so I can post even better stuff for ya ;-). And if you like it please share it! Facebook was originally funded by a venture capital firm with ties to the CIA. The data the you provide to Facebook and upload to your profile is used to produce a psychological profile that is then marketed to corporations, political parties and Government agencies. The 2016 U.S. election is a example of how data harvesting from Facebook can be weaponized to influence millions of people. Cambridge Analytica developed psycops software for law enforcement and the military and then sold it to the GOP. The GOP then fed profile data of 80 million American voters into a military grade psychological operations weapon and then aimed that at the electorate. If you are aware of the technology there is no need to avoid Facebook. I only hope that the CIA and NSA would ‘like’ more of my post on Facebook.